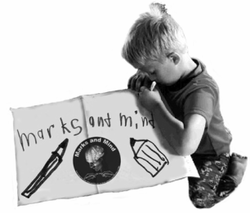 Marks and Mind is a comprehensive set of publications addressing literacy. These books and papers clarify the importance of symbolic reasoning to human thought in terms of social connection, range and control of emotion, strength and length of attention, expressivity, creativity, the development and use of language, including speech, and the tone of the general attitude toward self and the world.Dr. Susan Rich Sheridan's theory and practice describe and facilitate the radical importance of scribbling and drawing as spontaneous mind/body activity in early childhood, and the powerful connections between drawing and writing for thinkers of all ages. 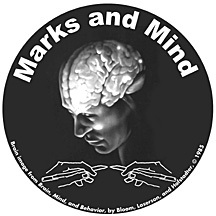 For background information about the theory supporting this comprehensive marks-based, Scribbling/Drawing/Writing practice, see Dr. Sheridan’s papers, “The Scribble Hypothesis,” and “A Theory of Marks and Mind.” Click here for more information about the author.